Aviv Geffen and Steven Wilson have revealed that they’ll release an album titled Open Mind: The Best Of Blackfield later this year. The 15-track collection will arrive on September 28 via Kscope and will include new artwork by Hajo Müller. 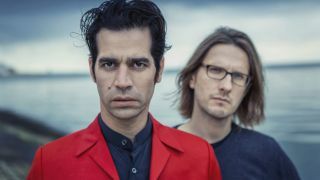 The duo’s last album was Blackfield V, which launched in February 2017 and was recorded over the space of 18 months between Israel and England. Open Mind: The Best Of Blackfield is now available for pre-order. Find details below.